A university system is a set of multiple, affiliated universities and colleges that are usually geographically distributed. Typically, all member universities in a university system share a common component among all of their various names. Usually, all member universities of a university system are governed by a system-wide governing body, such as a board of trustees or a board of regents. In fact, university systems are so common in post-World War II United States that most states have one or two state university systems under which many of their publicly funded universities are aligned, both in name and in governance. Additionally, for-profit universities, such as DeVry University, often have multiple campuses which share the same name; these may be, but are not always, described as a university system. A rector is a senior official in an educational institution, and can refer to an official in either a university or a secondary school. Outside the English-speaking world the rector is often the most senior official in a university, whilst in the United States the most senior official is often referred to as President and in the United Kingdom and Commonwealth of Nations the most senior official is the Chancellor, whose office is primarily ceremonial and titular. The term and office of a rector can be referred to as a rectorate. The title is used widely in universities in Europe. and is very common in Latin American countries. It is also used in Brunei, Turkey, Russia, Pakistan, the Philippines, Indonesia, Israel and the Middle East. In the ancient universities of Scotland the office is sometimes referred to as Lord Rector, is the third most senior official, and is usually responsible for chairing the University Court. John Francis Lincoln was an Australian judge of the District Court of New South Wales and a New South Wales Electoral Commissioner. For thirty years he was Chancellor of the Anglican Diocese of Newcastle and at the time of his death he was Emeritus Deputy Chancellor of Macquarie University. England and Wales is a legal jurisdiction covering England and Wales, two of the four nations of the United Kingdom. "England and Wales" forms the constitutional successor to the former Kingdom of England and follows a single legal system, known as English law. 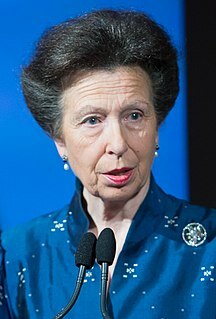 Anne, Princess Royal, is the second child and only daughter of Queen Elizabeth II and Prince Philip, Duke of Edinburgh. At the time of her birth, she was third in the line of succession to the British throne, behind her mother – then Princess Elizabeth – and elder brother, Charles. She rose to second after her mother's accession, but is currently thirteenth in line. In Hong Kong, the Chief Executive of Hong Kong (and before 1997, Governor of Hong Kong) acts as the chancellor of all chartered universities, which includes all eight public universities and Open University of Hong Kong. Day-to-day operation is in the hands of either a vice-chancellor (older and established institutions) or a president (in newer institutions), depending on the institution. Chancellor is a titular position in Bangladesh always held by the incumbent President of Bangladesh under the Private Universities Act 1992. The position in public universities is not fixed for the president under any acts or laws (since the erection of a state university in Bangladesh requires an act to be passed in itself),  but it has been the custom so far to name the incumbent president of the country as chancellor of all state universities thus established. The day-to-day business of the university is run by the vice chancellor. He has a deputy called the pro-vice-chancellor. In France, the president is the elected chair of the board and chief executive officer in universities. The president is always elected by the board among the professors of the university. He serves a four-year term which is renewable once. The chancellor is a servant of the Ministry of Education who supervises regional educational districts. There is no hierarchical relation between the president and the chancellor. In South Africa, the Higher Education Act 101 of 1997 defines the principal as "the chief executive and accounting officer of a public higher education institution." The definition allows for the alternative nomenclatures of vice-chancellor and a rector, and these terms are in widespread use (the term vice-chancellor is more common in English-medium universities, whilst the term rector tends to be used in Afrikaans-medium universities). The exact name in a particular university will be defined by the Institutional Statute. The same act defines the chancellor as the titular head of an institution. Nelson Mandela University (NMU), formerly known as University of Port Elizabeth (UPE), is a South African university with its main administration in the coastal city of Port Elizabeth. Nelson Mandela University was founded through a merger of three institutions in January 2005, but its history dates back to 1882, with the foundation of the Port Elizabeth Art School. The International Medical University (IMU) is a private, English language, health sciences university in Kuala Lumpur, Malaysia, and Malaysia's leading private medical and healthcare university. It was established in 1992, and is active in research and teaching within medicine and healthcare with a strong international orientation. IMU is a wholly owned subsidiary of Asia's largest private healthcare group IHH Healthcare, which is majority-owned by the Malaysian government's sovereign wealth fund, Khazanah. The current CEO of IMU is Abdul Aziz Baba. Jawaharlal Nehru Technological University, Hyderabad is a public university, located in Hyderabad, Telangana, India, and one of the India's leading educational universities focusing on engineering. Founded in 1965 as the Nagarjuna Sagar Engineering College, it was established as a university in 1972 by The Jawaharlal Nehru Technological University Act, 1972. The university is situated at Kukatpally Housing Board Region in Hyderabad of India. A pro-vice-chancellor or deputy vice-chancellor (DVC) is a deputy to the vice-chancellor of a university. In the older English universities, and Commonwealth universities following their tradition, PVCs were typically academics who took on additional managerial responsibilities for a limited time, alongside their regular teaching and research. However, in the newer English universities, the post was usually a permanent one, and this is now the increasing trend among older universities also. Individual pro-vice-chancellors may be in charge of areas such as administration, research and development, student affairs, and academic and education affairs. In some universities, there are one or more deputy vice-chancellors subordinate to the vice-chancellor, with pro-vice-chancellor at an executive level ranking below deputy vice-chancellor. PVCs or DVCs are normally empowered to substitute for the vice-chancellor in both ceremonial and executive functions when he or she is absent from the university. The Principal of the University of Glasgow is the working head of the University, acting as its chief executive. He is responsible for the day-to-day management of the University as well as its strategic planning and administration. The Principal is appointed by the University Court and is President of the Senate, the University's supreme academic body. The Principal is normally also created Vice-Chancellor of the University, conferring on him the degree-awarding powers of the Chancellor. The ancient university governance structure in Scotland is the organisational system imposed by a series of Acts of Parliament called the Universities (Scotland) Acts 1858 to 1966. The Acts applied to what were termed the 'older universities': the University of St Andrews, the University of Glasgow, the University of Aberdeen and the University of Edinburgh. Together these four universities are commonly referred to as the ancient universities of Scotland. Whilst the Acts do not directly apply to the University of Dundee, the same governance structure was ordained for use by that institution in its Royal charter. Academic ranks in the United States are the titles, relative importance and power of professors, researchers, and administrative personnel held in academia. Ole Petter Ottersen is a Norwegian physician and neuroscientist. He serves as the Rector of Karolinska Institute in Sweden, and took office in August 2017. Ottersen has been professor of medicine at the University of Oslo since 1992 and served as the university's directly elected Rector from 2009 to 2017. Academic dress at the University of Glasgow is worn at ceremonial events throughout the academic year. This primarily entails graduations, but includes Commemoration Day, church services, and the installation of Chancellors and Rectors of the University. The academic dress of all members of the University of Glasgow, including students, is regulated by the University Calendar. It shares many similarities with the other ancient universities of Scotland, most conspicuously that, unlike in the rest of the United Kingdom, headwear is only very rarely worn. Academic dress has been worn in the University of Glasgow since mediaeval times. Academic ranks in the United Kingdom are the titles, relative importance and power of academic employees. In general the United Kingdom has three academic career pathways, a combined research and teaching career pathway, a research career pathway and a teaching career pathway. Academic ranks in South Africa are the titles, relative importance and power of professors, researchers, and administrative personnel held in academia. Academic ranks in Malaysia are the titles, relative importance and power of professors, researchers, and administrative personnel held in academia. Generally, Malaysia uses Commonwealth academic ranks. However, there are universities using their own academic titles. ↑ "Chief executive's HKU role should only be honorary, says panel". South China Morning Post. Retrieved 15 September 2017. ↑ "Two more private universities approved for Pune". The Times of India . Retrieved 3 July 2014. ↑ "The Private University Act, 1992". Südasien-Institut. Archived from the original on 17 December 2007. Retrieved 6 April 2011. ↑ Smith, Kate (2017-12-11). "College Presidents Making $1 Million Rise With Tuition and Student Debt". Bloomberg News . Retrieved 2017-12-13. ↑ "Vice-Chancellors at Australia's universities". Universities Australia. Archived from the original on 5 August 2012. Retrieved 7 November 2011.